Air Conditioners are often rated by the SEER (Seasonal Energy Efficiency Ratio), which is a measure of how efficiently the unit functions. The SEER rating is computed by dividing the cooling output during a typical cooling-season by the total electric energy input during the same period. The result is the unit’s SEER rating, with higher ratings representing more efficient units and vice versa. Ultimately, an Air Conditioner with a higher SEER rating will use less energy to cool your home, thus resulting in a lower energy bill. However, Air Conditioners with higher SEER ratings are often more expensive than their counterparts, which is an important factor to consider when choosing the best unit for your needs. Oftentimes, simply choosing an Air Conditioner with the highest SEER rating is not always the most effective way to choose a unit. While modern Air Conditioners have SEER values ranging from 13 to 25 SEER, this does not mean that you must purchase an A/C with 25 SEER in order for it to be efficient. In contrast, if you are replacing an older unit at around 8 SEER with a modern unit at about 14 SEER, you will already notice a drastic difference in efficiency and cost. Other factors to consider when choosing an Air Conditioner include the local climate and how you plan on using the system. If you do not use your A/C often or plan to move soon, it may not be financially beneficial to purchase a higher SEER unit. 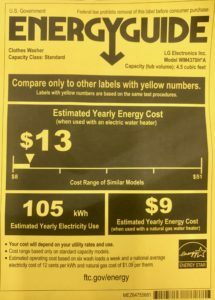 The SEER rating on most units can found on the yellow sticker labeled “Energy Guide.” If you want to learn more about your unit or discuss the possibility of upgrading the SEER of your unit, General Air is fully equipped to provide accurate assessments and recommendations, with full-service technicians to meet your repair or replacement needs. previous post: What Is the Proper Humidity Level for My Home? next post: What Is The Best Air Conditioner Size For My Home?